Everybody loves pizza and what better way to make your besties happy than with this luscious party food! 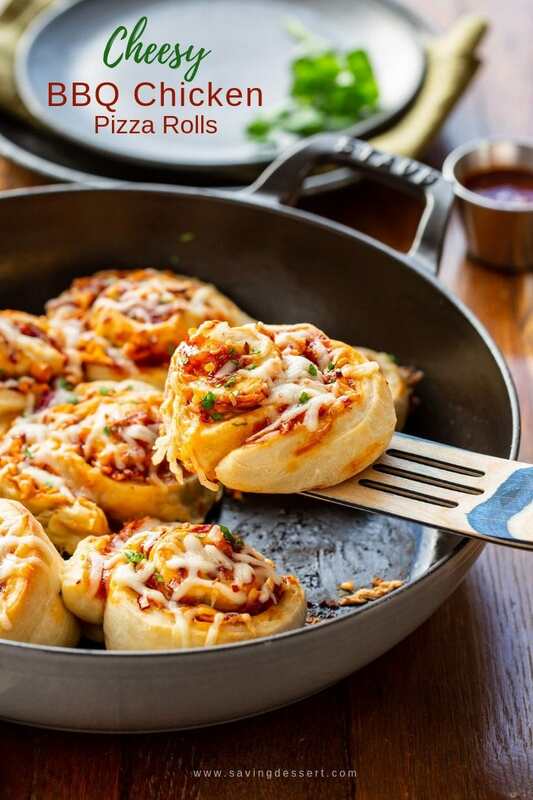 Whether you’re having the girls over for a glass of wine, or the whole gang for the big game, you’ll thrill your guests with these tasty, hearty Pizza Rolls. Not a big fan of BBQ chicken pizza? No worries, change it up and use your favorite pizza toppings instead. If you’re covered up with teenagers on the weekends, or prone to impromtu slumber parties, this is the recipe for you! Make several pans of pizza rolls, each with different fillings to fit all their cravings. Grab a rotisserie chicken at the store or poach your own chicken breast for these pizza rolls. I make poached chicken all the time during the winter months. It’s prefect for salads, sandwiches, soups, casseroles and so many other uses, and it’s great in these pizza rolls too. 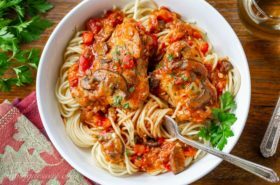 You only need one cup of finely chopped tender chicken for this recipe. 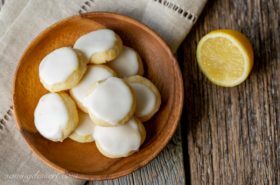 These are so much easier to make than you’d think and so good. Sink your teeth into the sweet BBQ sauce, tender bites of chicken and all that cheesy goodness! I love the minced red onion scattered throughout the layers and layers of sauciness. And bacon! Don’t forget to add a little crumbled bacon for a really nice salty bite. I cannot wait to make these again! Use your favorite sweet BBQ sauce for a nice, lip smacking, moan worthy bite. During the summer months, when we grill nonstop, I love to make my own Easy Honey BBQ Sauce to have on hand. However when the grill is covered in snow, I buy all-natural Bone Doctors Original BBQ Sauce. It’s perfect for these pizza rolls with a fresh sweet flavor and plenty of spice. Available on the East Coast in the US and also on Amazon. Check the link at the end of this post for more info. Fresh, frozen or refrigerated pizza dough – I love options! Our local grocery store chain sells ready-to-go pizza dough in 2 pound bags; enough for two pans of these Cheesy BBQ Chicken Pizza Rolls. To prep, set the fresh dough out for an hour or two so it can come to room temperature, then roll into a rectangle. If using frozen pizza dough, be sure to allow time to thaw first. Thats pretty much all the prep you needed for the pizza dough. So easy! Homemade Pizza Dough is always great and easy to make. 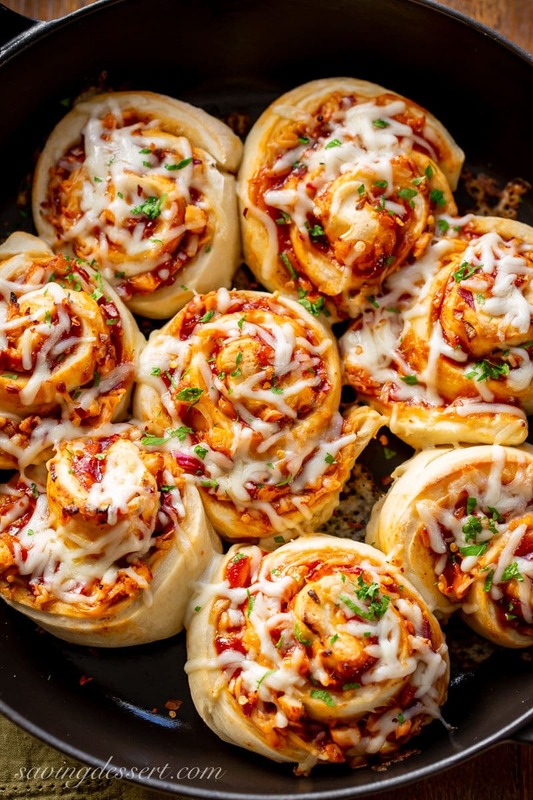 Just read the instructions on your bag, tube or package of dough and get ready to make these Cheesy BBQ Chicken Pizza Rolls! Available throughout the East Coast and on Amazon, our favorite BONE DOCTORS Original BBQ Sauce is made with premium, all natural ingredients. With no High Fructose Corn Syrup, and no artificial colors, flavors, or preservatives. 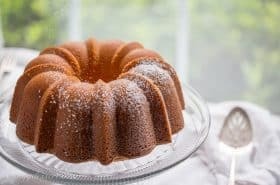 It’s Gluten-Free and oh so tasty! 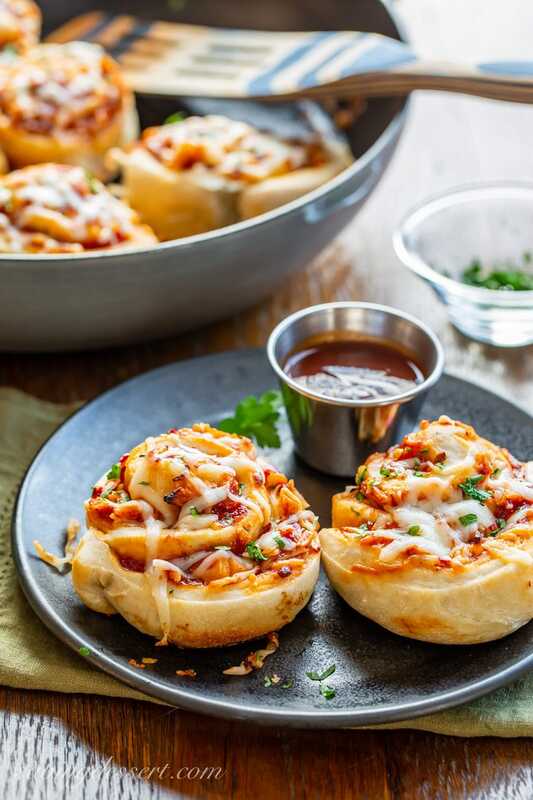 Try it on these Cheesy BBQ Chicken Pizza Rolls this weekend! Click on the photo for more information. 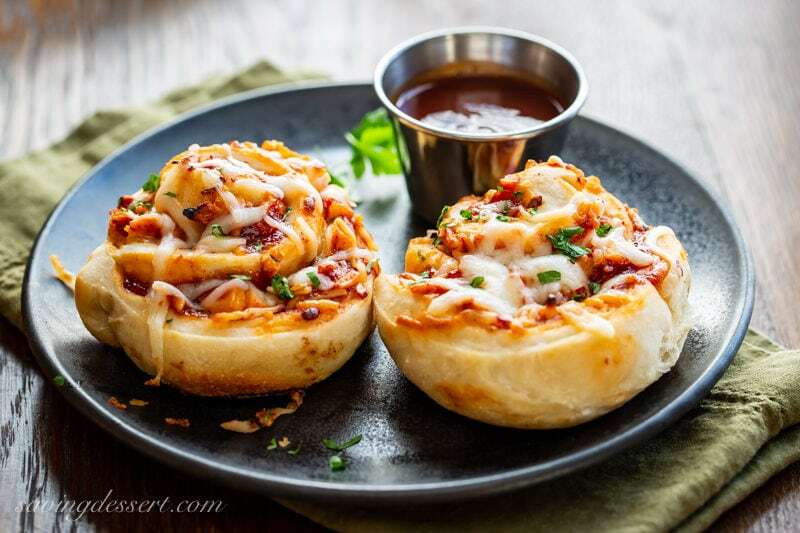 Cheesy soft rolls of pizza dough stuffed with tender chunks of chicken, sweet BBQ sauce, chopped red onion and salty bacon bits! If frozen, follow instructions for thawing your pizza dough. If using refrigerated dough, place in a well oiled bowl, cover and allow to come to room temperature, 1 to 2 hours. Lightly oil a large 9 or 10-inch round skillet or baking pan. Cast iron skillets work well for pizza. Set aside. Preheat oven to 400 degrees F. Lightly flour a clean work surface and roll out the room temperature pizza dough to an 18x10-inch rectangle. If the dough springs back and won’t hold it’s shape, let it rest an additional 5 minutes, then roll again. Spread the BBQ sauce over the surface of the dough leaving a 1/2-inch border all around the edges. Sprinkle 1 cup of the mozzarella cheese evenly across the surface of the dough, then top with the chicken, onion, red pepper flakes and bacon, if using. Starting on the long side, roll the dough away from you into a tight cylinder, tucking and pulling just a bit as you go. Pinch the seams together to seal. Cut into 8 equal slices and place cut side down in the prepared pan. When cutting try using dental floss instead of a knife. It works amazingly well! Bake for 25 minutes in a preheated 400 degree F oven. Sprinkle the remaining mozzarella cheese on top and continue baking for another 5 minutes or until the cheese is melted. Garnish with fresh parsley and serve immediately with additional BBQ sauce for dipping. 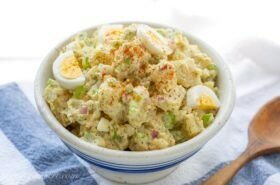 Substitute pizza sauce for the BBQ and use your favorite traditional toppings instead. Since these bake quickly you’ll need to pre-cook or sauté hearty vegetables before adding to the rolls. Vegetables like peppers and mushrooms need to be cooked first too. Finely minced onion is fine added raw. Pre-cook all meats used in the rolls. Filling Inspiration: Ground beef, Italian sausage, Canadian bacon, ham and pepperoni. Parmesan cheese, well drained crushed pineapple, fresh basil leaves, olives, and jalapeños. Pesto, peppers, onions, mushrooms and spinach. Yup, you’re SO right that I love pizza! Bet I’d love these cute rolls too — nifty idea. And a flavorful one — each one is a little pizza! Very fun and creative — thanks. Thanks John – bet you would love them! Wow, those look delicious, Tricia! I have to make this for my grandsons! Great way to make a football game even more fun, although I’m sad for the Saints. Thanks Susan – these are a real treat and will be perfect for the big game! Woo hoo! Cheesy goodness here, Tricia! Sounds delicious to me and I bet they disappear in a flash. Evidently, the options are endless for this dish, a must try. Thanks! These would be a real crowd pleaser, perfect party food. Wow Tricia. I am printing the recipe now. I first thought about how my grand daughter would love making these with me and eating them. But then I saw the BBQ sauce part and thought, “hell, I want these.” I think I’ll make them for super bowl. Spectacular. Haha – you are so sweet Mimi – thank you so much! Super bowl is the perfect opportunity to enjoy these pizza rolls. SO gooey and delicious!! Perfect for game day—while everyone else is watching the Superbowl, I’ll be eating more than my fair share of these yummy pizza rolls! These are fun to make too Liz – hope you get the chance to make them and thanks! Great recipe Tricia! I have no doubt these would disappear in an instant! Thanks Sue – game night is perfect for these treats – or even a girls night out. Come on over! 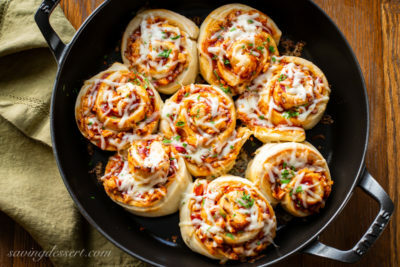 Love these pizza rolls! Just as good as pizza :-)) and bacon and cheese are my favourites. Thanks Angie! Bacon and cheese – so great together. 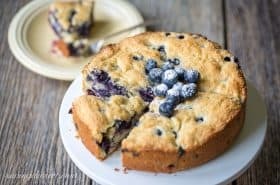 I’m thinking of making a pan of these for breakfast! Who needs toast and eggs? These look amazing! What a fun and pretty alternative to pizza! Haha Chris – my husband did eat these for breakfast one morning, and took them in his lunch. So good!